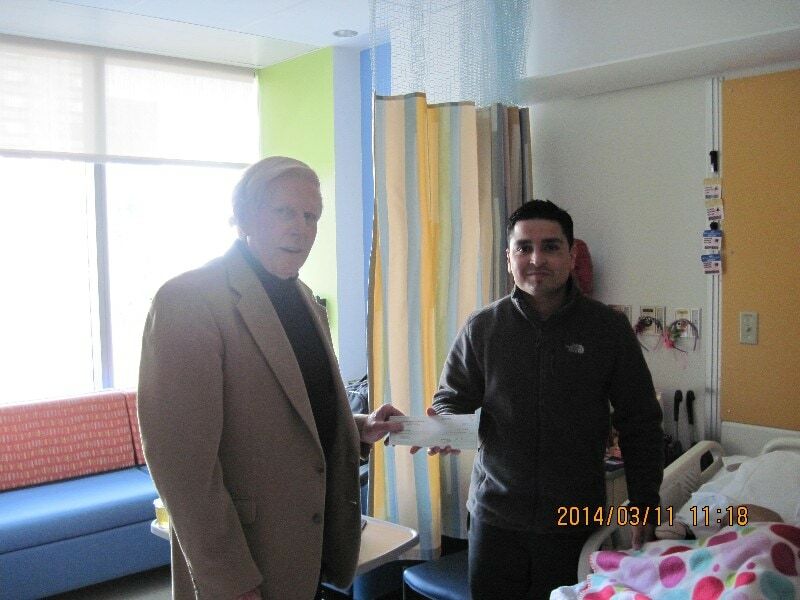 On Tuesday, March 11, 2014, Cops For Kids With Cancer went to the Children’s Hospital and made a $5,000.00 donation to the family of Estelle Martinez, a 3 year old girl from Rockland who has a rare form of Brain Cancer. In photo Bob Faherty with dad, Patrick Martinez. Little Estelle is in the bed.